This item is incompatible with Total War: WARHAMMER II. Please see the instructions page for reasons why this item might not work within Total War: WARHAMMER II. - Updated for Queen & Crone, June 1st 2018. Say hello to the Altdorf Company of Honour, a lore-friendly and very famous company of Altdorf Halberdiers. They are recruited from the level 3 Altdorf main settlment building and may be recruited by the Empire. The unit also features a custom officer, Otto Helstein. This mod is also featured in my Warhammer Unit modding tuttorial where I demonstrate in fine detail how I made it. 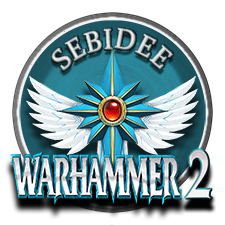 I have released a modding template for Warhammer 2 and if you fancy making units yourself then you should check it out! Check out some of my other mods! 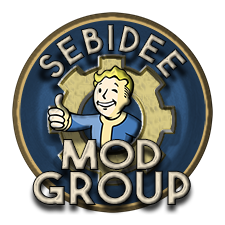 Can you please update this great mod. Thanks! i have read your guide and the variant mesh. i have tried to put the head of altih anar in the body of Imrik a general of the mixu mod. legendary lords. but in the rigid model the body and the head is united, hte mixus imrik the both are in diferent rigids model, so when i do what you told in the guide it looks weird, no how it supposed ti be. So i would like to ask you what to do. Thank for your guide and for your time. You may want to give these guys expert charge defense now that the regular empire halberdiers have it. Seems weird for their lower tier halberd cousin to have a higher form of charge defense. Update? I love this mod. Is this unit affected by the red skill tree on lords? and if so, is this an RoR meaning i can only recruit one unit in campaign (mortal empires)?